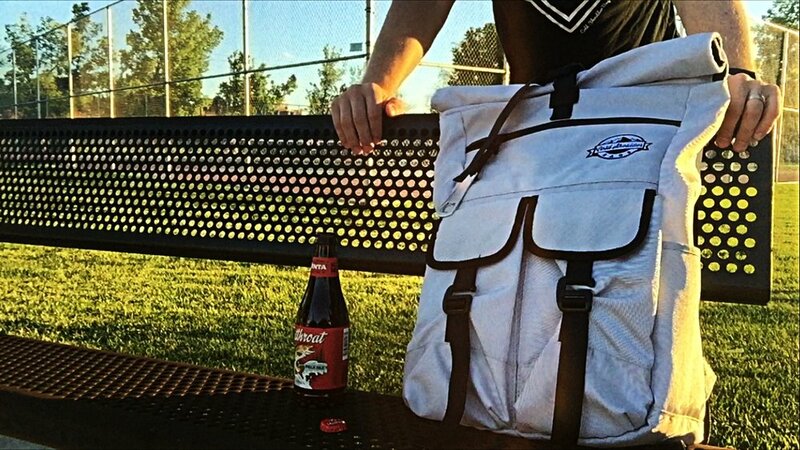 Cold Shoulder Bags was the answer to a simple question, "How do I keep my beer cold?" They obvious answer is a cooler. The problem is that coolers are heavy, clumsy, and simply a pain. Cold Shoulder calls the rugged Wasatch Front home. Weekend adventures are common here, and when going to the mountains, lake, festival, or any other adventure I would always choose a backpack over a cooler. Despite my greatest hopes that my beer would stay cold long enough for my enjoyment, I was always disappointed. Why not put a cooler inside of your everyday backpack? We searched the market for a product just like this, but found nothing. This is how Cold Shoulder was born. We wanted to make a functional backpack for the daily grind, but had the capabilities to keep our beverages cold on our adventures. We decided to use a very popular roll top design and put a removable cooler inside. It worked! The greatest part about Cold Shoulder is that it gives you the flexibility to bring your cooler everywhere in your go to backpack. The removable cooler allows your everyday pack to seamlessly transition into your weekend cooler, overcoming the hassle of a traditional cooler. Whether you’re headed to school or work, a concert or a party, the mountains or the beach Cold Shoulder will be sure to keep all your essentials nice and cold.